Iran’s missiles, many of which are modeled off North Korean technology, are advanced enough to strike targets throughout the Middle East, including Israel, stoking fears that the next regional war—which many say is imminent—could present Iran an opportunity to show off its newest missile technology. U.S. officials familiar with the Iranian and North Korean missile programs told the Washington Free Beacon that much of the recent technological progress by these rogue nations is the result of the Obama administration’s efforts to relax international regulations on such activity as part of the landmark nuclear agreement. In the time since that agreement was reached, Iran has taken significant steps toward building, testing, and improving its ballistic missile technology, including long-range missiles that have been tested under cover of Tehran’s space program. “Iran continues to invest in developing ballistic missiles and in building an extensive network of facilities, although missile inventory information is scarce,” the latest report on Iran states. “Iran’s short- and medium-range ballistic missile tests indicate that Iran is focused on increasing the accuracy of its missiles,” according to the report, which includes both open source and U.S. intelligence community information. “The majority of Iran’s heavy artillery rockets and ballistic missiles are tactical or short-range (less than 500 kilometers),” according to the report. The mobile nature of Iran’s shorter-range rockets has allowed it to share this technology with its allies in the region. Shorter-range missiles employed by Iran are more than capable of striking “U.S. and allied bases in the Gulf region if moved from their operating bases, as well as targets throughout Iraq,” the report notes. After years of testing and refining this technology, “Iran has grown increasingly self-sufficient in producing SRBMs [short-range ballistic missiles], but still probably relies on outside sources, such as North Korea, for some key components and material,” according to the report. To support this missile program, Iran has built and underground network of facilities and missile launch sites that are protected by the country’s air defenses and technology such as Russia’s S-300 anti-aircraft missiles, which are currently believed to be operational. This would protect Iran’s missile technology from a preemptive strike. Support for Iran’s program comes from North Korea and other rogue exporters that have skirted international sanctions and capitalized on the subsequent lifting of these sanctions by the Obama administration. Iran’s Shahbab-3 ballistic missile, for instance, has been imported from North Korea and is based on that country’s own designs. Tehran’s long-range and intercontinental ballistic missile technology is harder to pin down. “Some have long believed Iran’s space launch program could mask the development of an intercontinental ballistic missile (ICBM) with ranges in excess of 5,500 km that could threaten targets throughout Europe, and even the United States (at least 10,000 km),” according to the report. 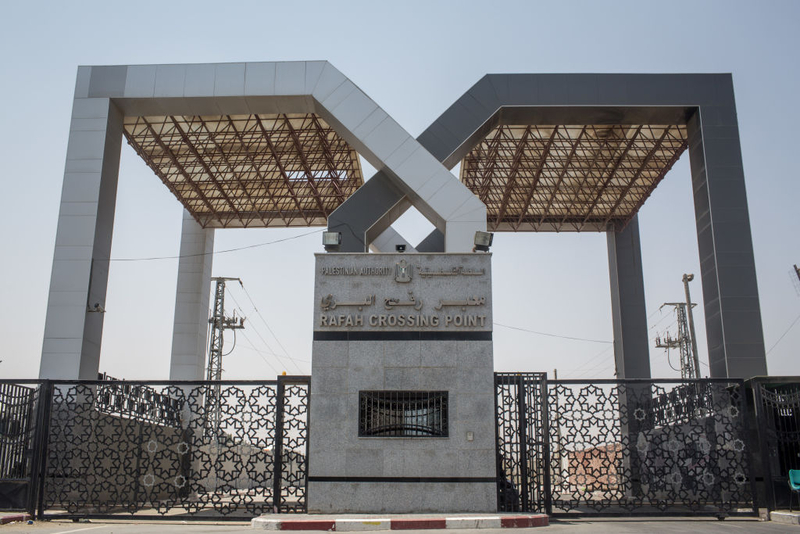 Egyptian intelligence cautioned Hamas that Israel could renew targeted killings if the terror group further exacerbates tensions on the Gaza Strip border, Hadashot television news reported. Former IDF chief says terror organizations like Hamas will only be deterred by threats to their existence after 180 rockets fired at Israel. Major-General (Res.) 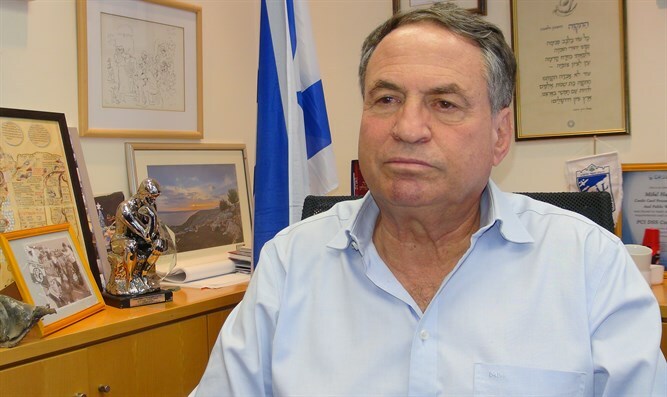 Uzi Dayan, former deputy chief of staff, called for the restoration of Israeli deterrence in Gaza through a military operation against Hamas following the launching of 180 rockets and mortars from Gaza overnight. “I hope there will be an operation in Gaza. This is something that needs to be done because our deterrence has been eroded to a point,” Dayan said in a conversation with Arutz Sheva. 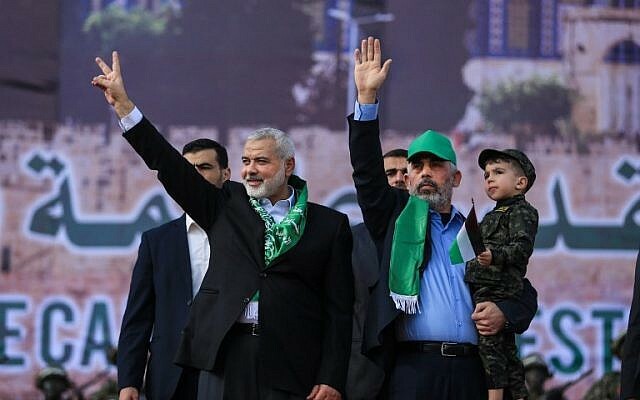 “Even if there is a kind of ceasefire, Hamas will continue to operate below the threshold of response, to send kites and balloons, on the assumption that we will respond only with a small response, and even if it sends eighty rockets to the Gaza vicinity like yesterday, Israel will not launch an operation. This is called the loss of deterrence. The Israeli Air Force launched a renewed offensive against targets in the northern Gaza Strip, Palestinian media reported on Thursday evening, hours after a rocket fired from the Palestinian enclave struck just outside the southern city of Beersheba. The Israeli military would not immediately confirm the raids, apparently in accordance with army protocol to wait until the planes involved have all returned to base. 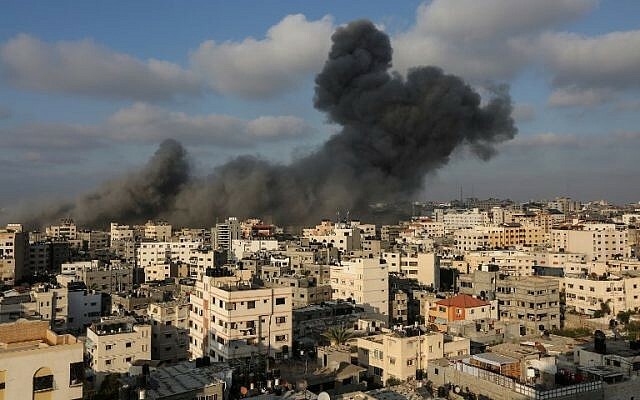 According to the Hamas-affiliated Shehab news outlet, the target of the strike was a facility west of Gaza City. There were no immediate reports of Palestinian injuries. The reported airstrikes came as Prime Minister Benjamin Netanyahu convened the high-level security cabinet on Thursday evening to discuss the volatile security situation in the south and decide on a course of action. It also came hours after the rocket hit an open field north of Beersheba, setting off sirens in the southern city for the first time since the 2014 Gaza war and rupturing a purported ceasefire that lasted approximately two hours. Sirens also sounded in the communities of Omer and Lakiya, just outside the city. War is on ? live updates. Further rocket sirens sounded in Israeli communities in the Eshkol Regional Council near the Gaza border on Thursday evening. An emergency meeting of the Security Cabinet, headed by Prime Minister Benjamin Netanyahu, is currently underway at the IDF and Defense Ministry headquarters in Tel Aviv. Rocket sirens were activated in multiple Gaza border communities on Thursday evening. Sirens were heard in Nir Oz, Nirim, Kissufim and Ein HaShlosha. Israeli jets have carried out further airstrikes in the Gaza Strip, according to initial Palestinian reports. 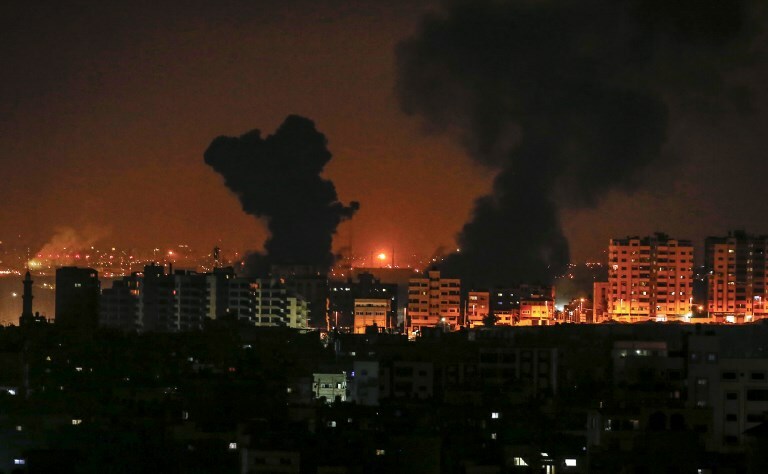 Airstrikes have been reported in areas to the west of Gaza City, in the northern Gaza Strip. Residents of the southern town of Sderot described Thursday the desperate dash to safety as 150 rockets, fired overnight from the Gaza Strip rained down on southern Israel, including one barrage that slammed into the city injuring several people. There are no more than 15 seconds from the moment the rocket warning siren sounds until a projectile impacts on the city, during which residents have to get themselves — and their families — into bomb shelters or reinforced rooms in their homes. Volleys of rockets and mortar shells were fired at southern Israeli communities from the Gaza Strip on Wednesday night and into Thursday prompting the Israeli Air Force to bomb at least 12 Hamas positions across the Gaza Strip, the military said. 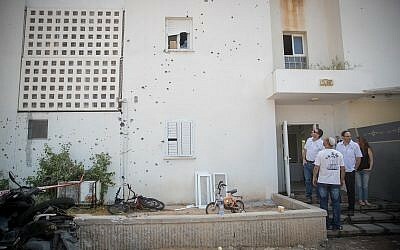 Sderot resident Etti Kramer told Hadashot TV news how she and her husband dashed to get their seven children into their family’s reinforced room as they heard explosions around them. Another resident, Yossi Lok, recounted how his neighbor was injured by a rocket which their apartment building. Lok said he had retreated to his reinforced room after the rocket siren alert when off. Lok said his home was also hit, a rocket landing on his roof. “It was lucky there were no residents in the unit,” he said. In video shared on social media, dozens of parents and children in a Sderot playground could be seen running for bomb shelters as a rocket exploded in the city sending smoke billowing into the air. One mother can be heard desperately seeking her son, while at the same time trying to calm a young girl by assuring her that there would no more rockets. Children and parents crammed into overcrowded shelters, with some crouching on the ground outside, as they tried to find safety. Hanita Kohanik, a resident of the city which has suffered rocket fire from Gaza since 2001, spoke to the Hebrew-language Ynet website about the traumatic day-to-day life in the south. Her son, she said, suffers from post traumatic stress disorder, and doesn’t leave home. “The intermittent and sporadic fire are a daily war,” Kohanik said. One rocket — or possibly shrapnel from an Iron Dome interceptor — damaged a home in Sderot late Wednesday night, police said. At least two rockets struck the city earlier in the day, injuring three people. Two more were injured in attacks Thursday morning. At least eight others were treated for panic attacks, including two pregnant women who went into labor. Wave after wave of rocket attacks set off sirens throughout the night in the Hof Ashkelon, Sha’ar Hanegev, Sdot Negev and Eshkol regions outside Gaza, sending thousands of Israelis into bomb shelters, where many bedded down with their families. At least 11 rockets or mortar shells were intercepted by the Iron Dome missile defense system, the army said. Hamas claimed responsibility for Wednesday’s attacks, saying it was avenging the deaths of the two operatives killed the day before. One Palestinian man was reportedly killed in the strike, 30-year-old Ali al-Ghandour was killed, according to the Hamas-run Gaza health ministry. In addition to al-Ghandour, at least six other Palestinians were injured in the Gaza Strip as a result of the IDF strikes, according to the Hamas-run health ministry. The Israeli military said the terror group, with which it was fought three wars in the past decade, would bear the consequences of any further violence from the Gaza Strip. 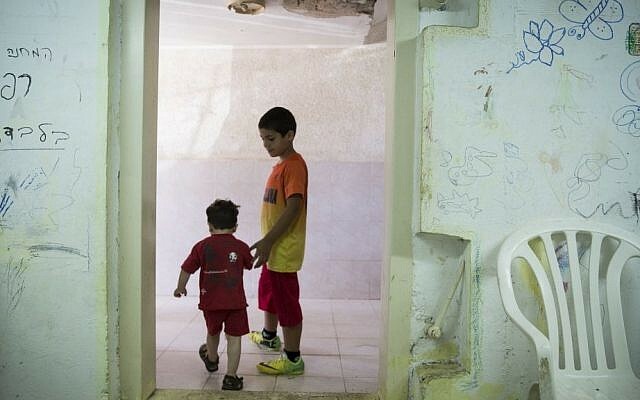 Residents of southern Israel were told to remain close to bomb shelters Thursday in case of additional rockets or mortar shells from Gaza.